A business problem with a brand solution. From the complex world of engineering, Mazzetti brought us an equally complex business problem. Instead of leading the design of innovative mechanical, electrical, plumbing and technology solutions, Mazzetti executives were frustrated by having to execute the visions of others. Meanwhile, competition was driving down prices and margins. Stuck in a lowest-cost-provider RFP hell, with their industry in a seismic shift, Mazzetti imagined a more consultative model. But how? To frame the problem, Emotive Brand deployed a full array of brand strategy tools, starting with intensive executive workshops. Four main focus areas were prioritized: simplify brand architecture, crystallize Go-To-Market strategy, recalibrate brand positioning and align company behavior to deliver the new consulting-oriented vision. The firm needed to engage its own staff in addition to bringing customers and prospects up to speed. Mazzetti people embraced their strategy for change and are in the driver’s seat. When your business shifts, your brand should, too. Changes in your industry can force you to change your business strategy. Your brand needs to shift in a synchronized way to reposition for success. In our view, the key is elevating your purpose to a higher, more emotive level. Brand strategy is not the same as marketing. As enticing as it is to roll out your new brand ASAP, if you jump the gun and share fragments before everything is ready, it could derail the project. Brand strategy sets the table for a strong marketing program by grounding it in the company’s true purpose. It’s worth the wait. Don’t let margin erosion drag your fees down. Sometimes you need to up the ante to rise above the noise of your industry and defend your margins. Mazzetti did it by leveraging their intellectual assets and elevating their consulting expertise. Delivering greater value is how a smart brand earns greater returns. To shift your thinking, put your heads together. We bring leadership teams together for good reasons. To stimulate ideas, explore options, prioritize and agree on direction. Our workshop participants are often amazed at how much ground we can cover together. Clarity of purpose requires clarity in brand architecture. When you’re refocusing your business model, you need to refocus your brand architecture, too. Mazzetti’s architecture was complex and unwieldy. 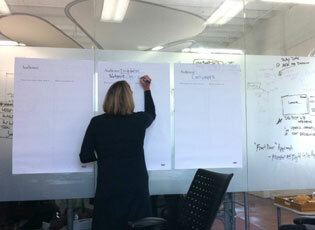 We modeled new options and streamlined their offerings for the future. There’s a light bulb moment in brand strategy when everything clicks. Then reality sets in: how can we get there from here? 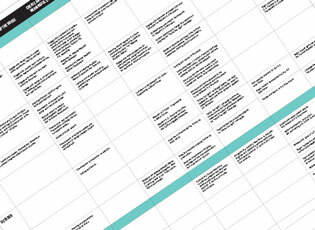 For Mazzetti, we tested readiness for change then mapped all the steps to get there. We always plan for success. 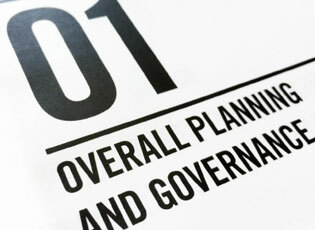 Changing strategic direction does not happen overnight. And it doesn’t happen by itself. It takes planning. 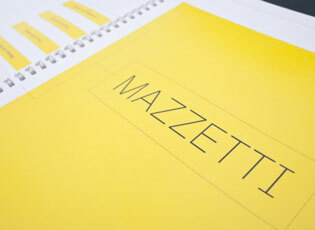 We created a detailed two-year plan for Mazzetti to roll out its new brand internally and externally.